In this section of the Profile Settings page, you can edit specific personal user settings or you can delete your account. Note: To return to the default profile picture, under the current picture click Use default image. After you finish editing your profile settings, at the bottom of the form, click SAVE. 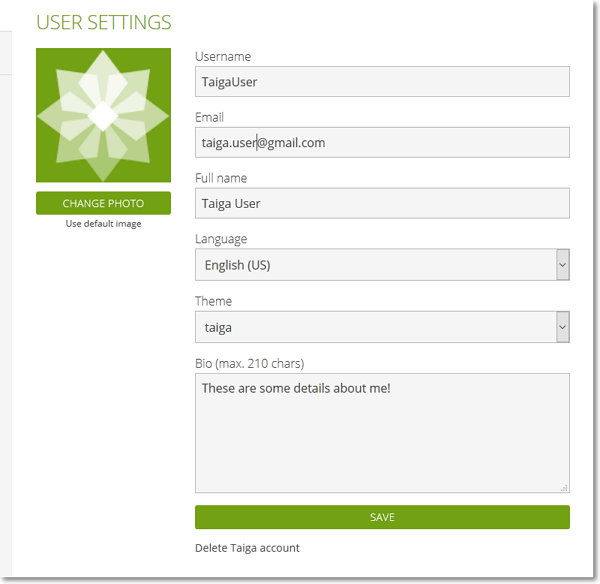 Note: To delete your account, under the SAVE button, click Delete Taiga account.